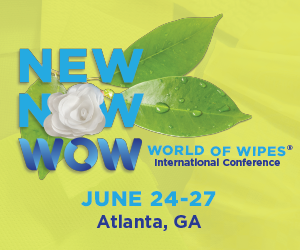 The suppliers of nonwoven materials and products, represented by INDA and EDANA, the Associations representing the vast majority of nonwovens supplied to the market today across North America and Europe, the Middle East and Africa, are committed to communicating to consumers when the toilet is an appropriate disposal route for finished products in the marketplace. In 2008, we issued the First Guidelines for Assessing the Flushability of Disposable Nonwoven Products to help wipe manufacturers assess whether their products should be flushed into the wastewater stream. A Second Edition was published in 2009. The Third Edition was published in 2013. Edition Four of the Guidelines is now available (2018). Since the First Edition, the Guidance Document has been a living document, and we continually gather feedback from stakeholders across the nonwovens and wastewater industries to use in reviews and updates of the Guidelines.